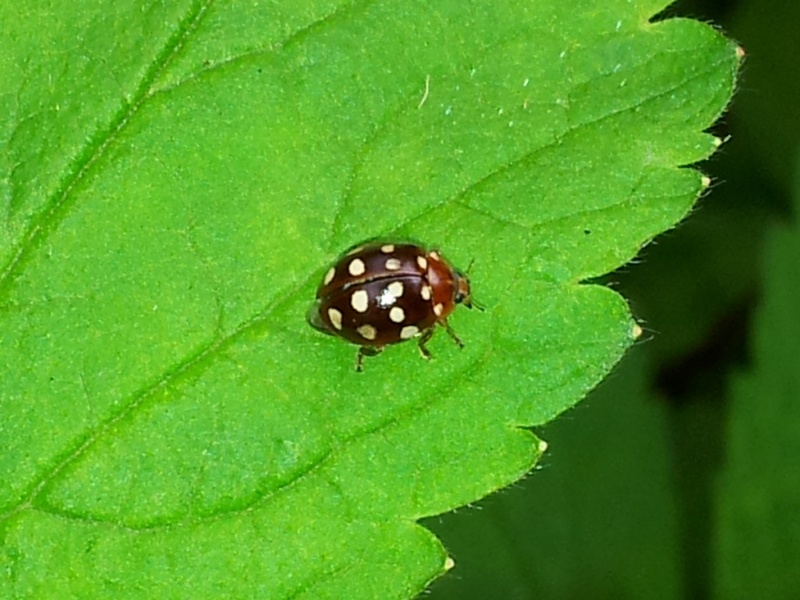 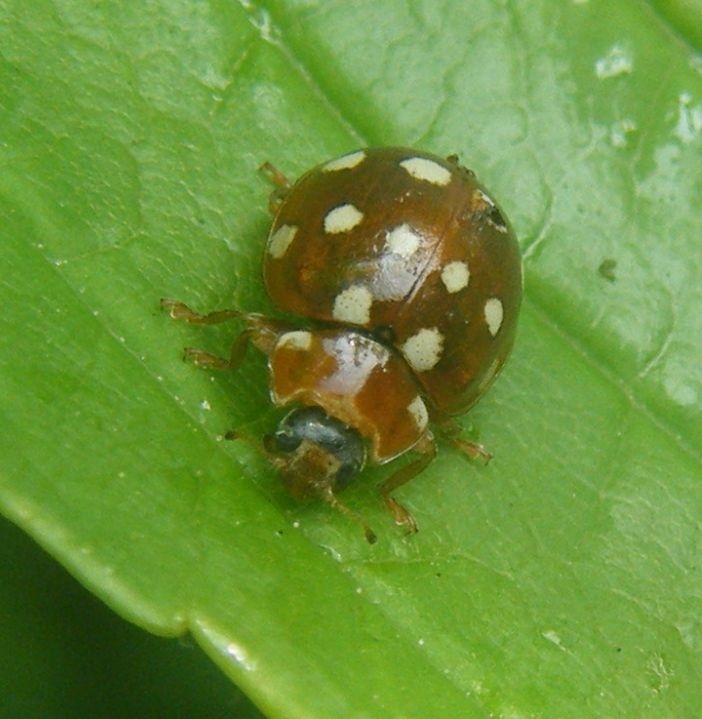 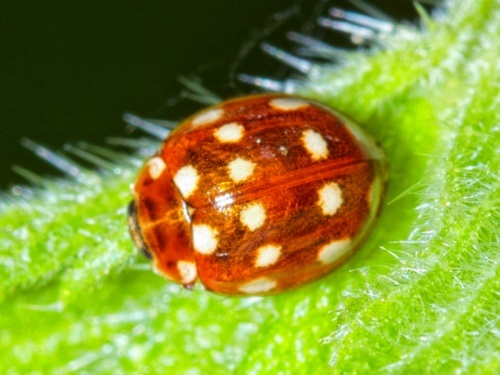 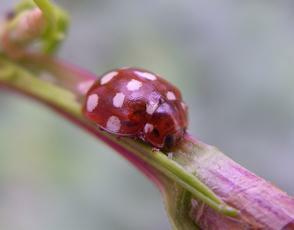 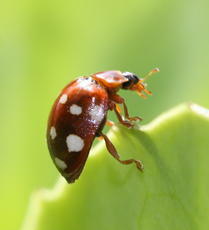 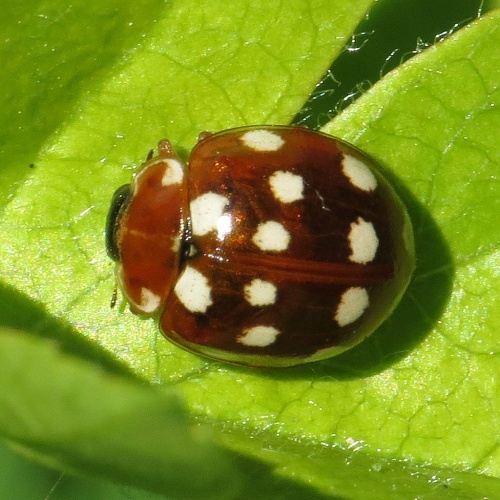 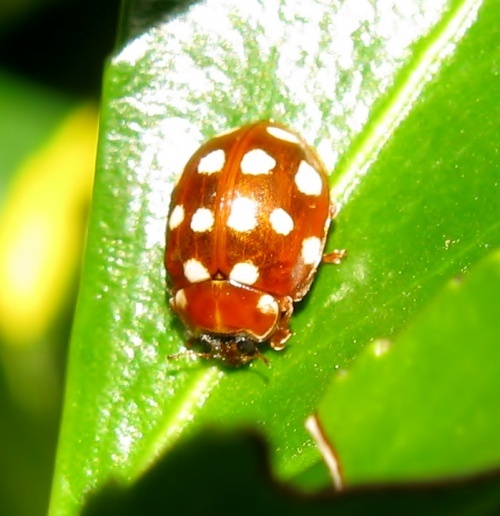 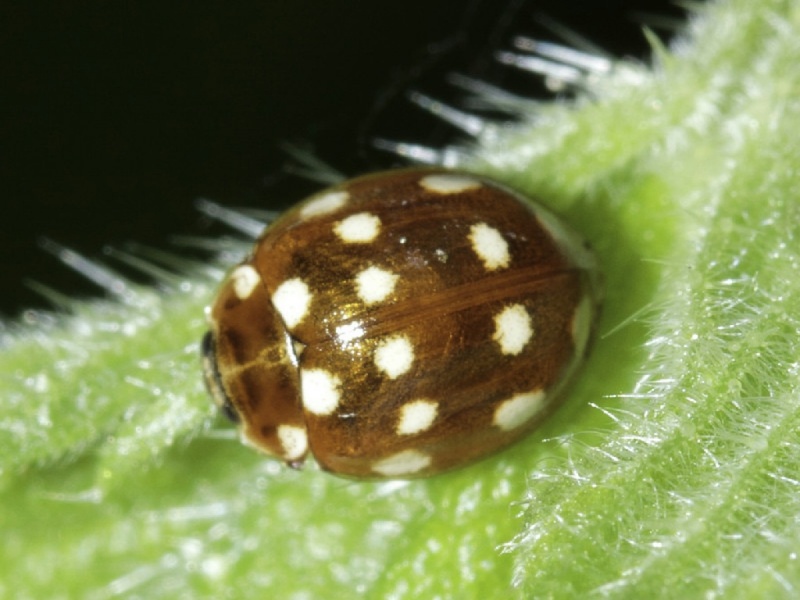 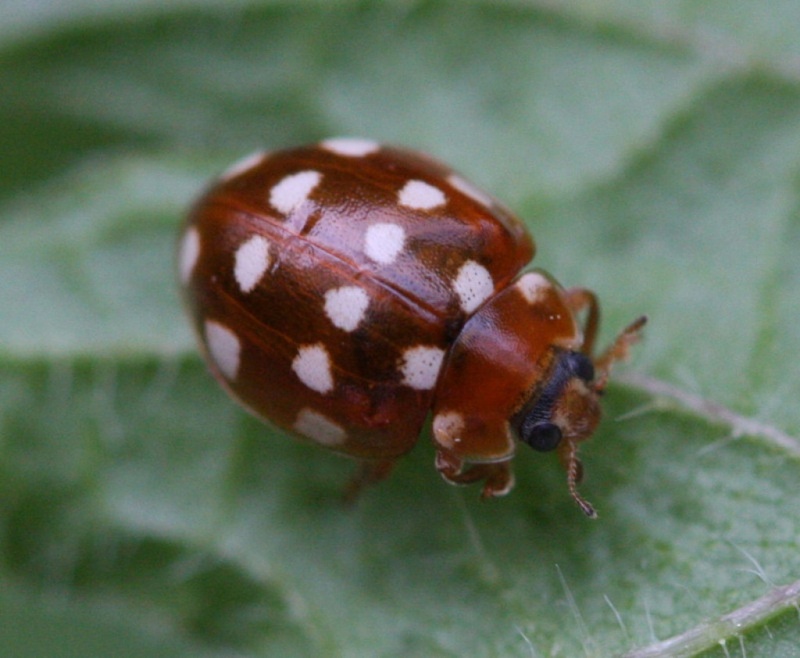 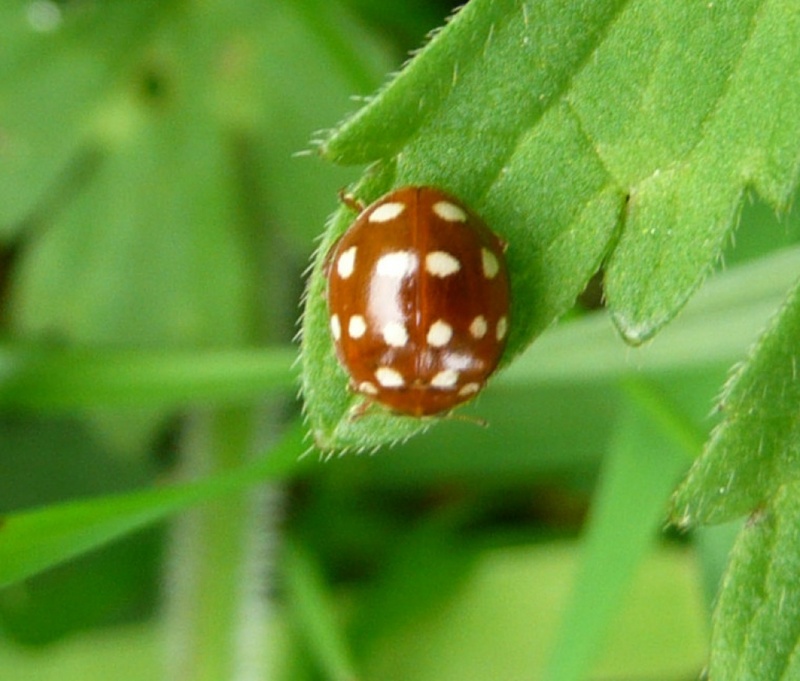 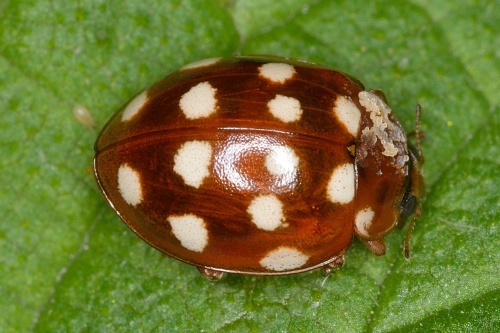 This ladybird has a maroon-brown casing with 14 creamy white spots. 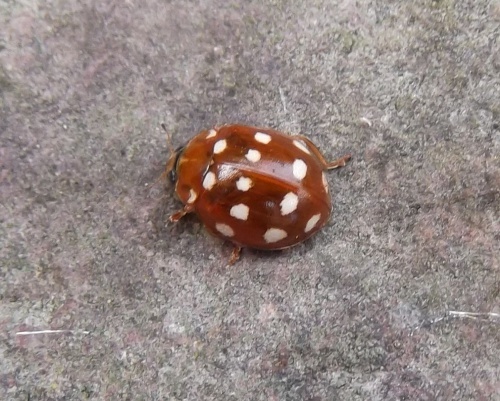 It has brown legs. 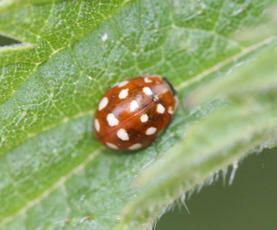 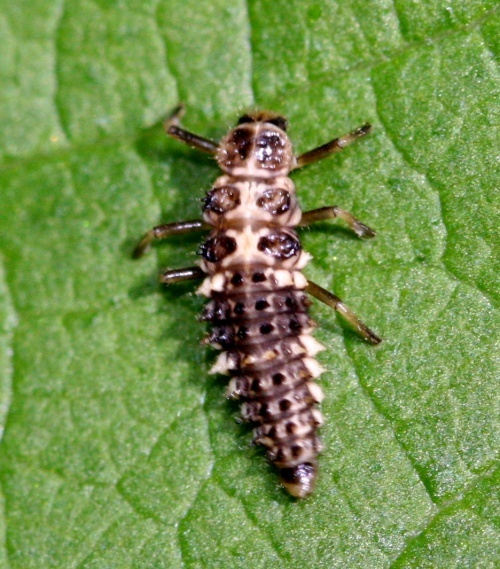 It feeds on aphids and psyllids and is often found on leaves and shrubs along hedgerows. It overwinters in plant litter, bark crevices and Beech nuts. Found over most of England and Wales but not as common in the north of Britain. 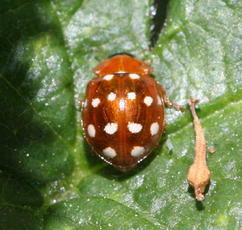 It is reasonably common in Leicestershire and Rutland. 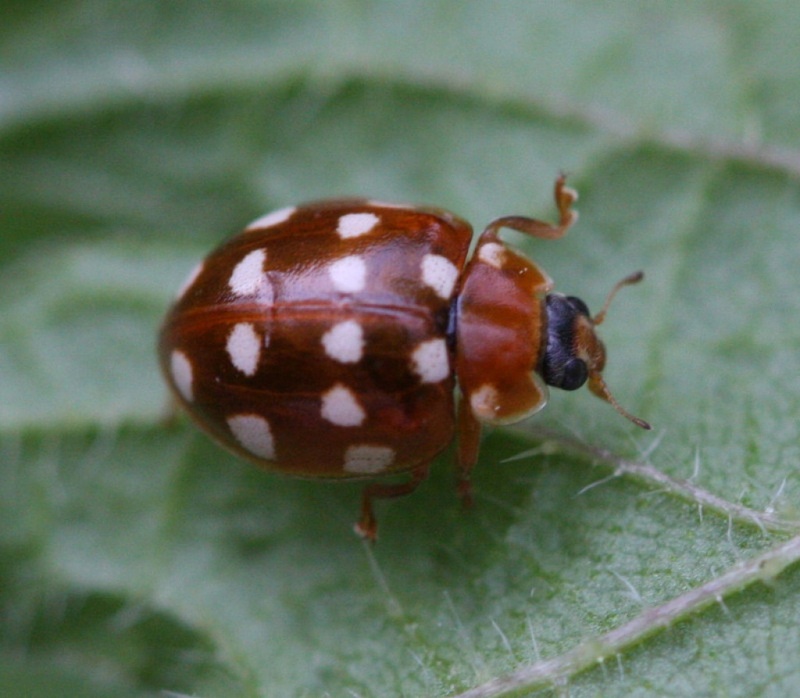 There were a total of 187 VC55 records for this species up to March 2015.